Fogue Tedom, A. and F. Noah Noh. 2014. The role of regional cooperation in the context of west african oil. GREAT insights, Volume 3, Issue 7. July/August 2014. West Africa is one of the most dynamic subregions of the continent. With a gross domestic product (GDP) in purchasing power parity of US$564.86 billion in 2012, it was ranked the world’s 25th largest economy by the International Monetary Fund (IMF). While the free movement of people and goods is one of the successes of the cooperation between the countries in the region, the lack of convergence of their macroeconomic policies represents a significant obstacle to integration. The growing number of oil producers in West Africa has exacerbated this lack of cohesion and political will, a barrier to stronger economic relations between states. Today West Africa is considered one of the continent’s leading oil-producing zones. Indeed, its coastal fringe corresponds to the most extensive part of the Gulf of Guinea, whose importance in the geopolitics of oil at the global level is well known. 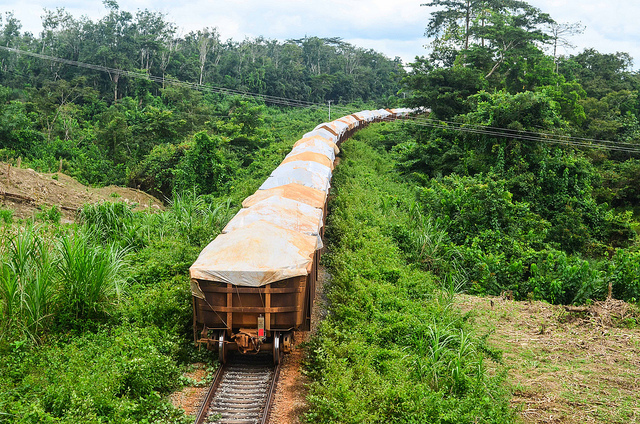 While Nigeria acts as a quasi-monopolistic producer, with over 2.5 million barrels a day, several new producers have diversified oil supply from the region. Benin, Côte d’Ivoire, Ghana, Mauritania and Niger, for example, are now part of the narrow circle of hydrocarbon-producing countries. All the other countries in the region, with the exception of Burkina Faso and Cape Verde, are home to numerous exploration activities carried out for the most part by foreign oil companies. West Africa’s proven reserves, excluding Nigerian potential estimated at over 37 billion barrels, amounts to 40 billion barrels, or 30 % of the African continent’s total reserves. 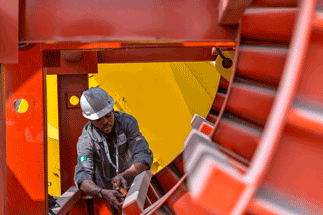 Oil cooperation plays an important role in creating and strengthening dynamic ties between West African countries. Long informal, mainly because of the smuggling of oil stolen from Nigeria in which most of the countries in the region are involved, that cooperation is now focused on supplying non- or low-producing countries and on sharing experiences in oil industry management. As a result, countries like Cape Verde, Burkina Faso, Senegal and Gambia can benefit from the oil their neighbours produce. A workshop on energy policies in West Africa was held in the Nigerian capital a few years ago, and was attended by experts from the West, and journalists, engineers and MPs from the region, who discussed ways of using energy as a tool for the subregion to wield economic and political influence. 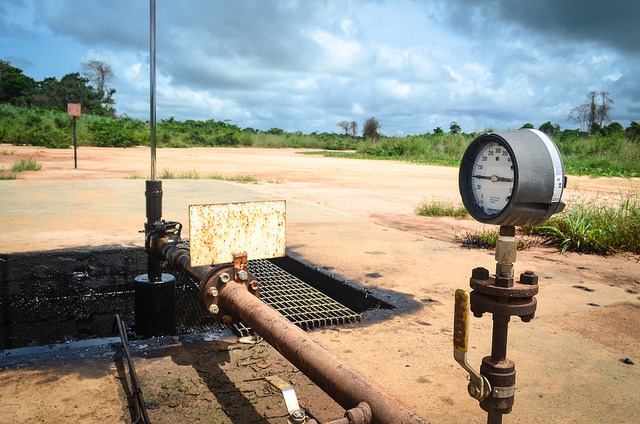 Several oil cooperation projects are currently being developed in West Africa. To that end, Nigeria would appear to be the mainstay of oil cooperation in the region because of the size of its production and the financial power into which such production translates. Consequently, the West African Gas Pipeline (WAGP), one of the flagship energy cooperation projects in the region, is expected to transport gas from oil produced in southern Nigeria to Benin, Togo and Ghana. Similarly, a pipeline which is currently under construction will transport Nigerian crude oil to Burkina Faso, via Ghana and Côte d’Ivoire, by 2020. The inclusion of African oil, particularly that produced in the Gulf of Guinea, in the power and security strategies of the world’s leading economies is a major impediment to the development of oil cooperation between West African countries . Most of the oil produced in the region is exported to the region’s major economic partners, which are Europe (22%), China (18%) and the US (12%). The outward orientation of the West African oil industry has primarily resulted in the development of a rentier economy incapable of supporting development and energy independence missions for oil production. Nor does it strengthen oil cooperation between countries in the region, as most of these countries value their status in the geopolitical strategies of the major oil consumers above any real South–South cooperation. Oil represents the main component of commercial relationships between certain traditional West African producers and their foreign partners. Nigeria, for instance, the continent’s leading producer and the world’s 12th largest, has a special oil relationship with the US, to which it sells nearly half its daily production. Its status in the US energy security strategy reduces its ability to fully assume a key role in subregional oil cooperation which is nonetheless its responsibility. Furthermore, the significance that the multinational Shell has in its upstream oil production, as well as China’s recent appearance on the scene, are additional causes of Nigeria’s insufficient involvement in oil cooperation with its neighbours. Africa’s number-one oil producer thus shifts the centre of gravity of the development in its subregion to the West and to Asia’s emerging market countries. While the increase in the number of West African oil producers may be considered an advantage (more oil should bring prices down and increase customer options), it has had a negative impact on the willingness of stakeholders to cooperate with one another. Indeed, the strategic nature of oil encourages oil-producing countries to sell their oil to countries which, in addition to ensuring them relatively large profits, can serve as a rear ally in the event of a crisis. It thus comes as no surprise that the largest customers of West African oil are also amongst the most powerful nations in the world. The rivalry between leadership candidates in the region – Ghana, Côte d’Ivoire and Nigeria – constitutes a further barrier to cooperation projects. These first two countries’ entry into the circle of oil-producing countries is seen by Nigeria as a challenge to its position as a leader in the oil industry which it has traditionally held in the region. Consequently, it is difficult for Nigeria to support initiatives which challenge its status. The increase in oil-producing countries in West Africa has given rise to a number of contradictions. First, it has not yet led to the development of either traditional or new producers in the region. While it is still too early to assess the economic impact of oil operations in countries like Ghana or Côte d’Ivoire, the development of a rentier economy and the use of oil revenues to achieve political ends greatly reduce the chances of development. In addition, insufficient consideration of local content in the management of the oil industry, like other extractive industries, for that matter, is one of the reasons West African countries lack strategic, political and economic autonomy. Finally, the lack of oil cooperation in the subregion only serves to exacerbate the energy deficit that characterises it , as well as the development of contraband oil and the loss of large quantities of crude as a result of flaring. 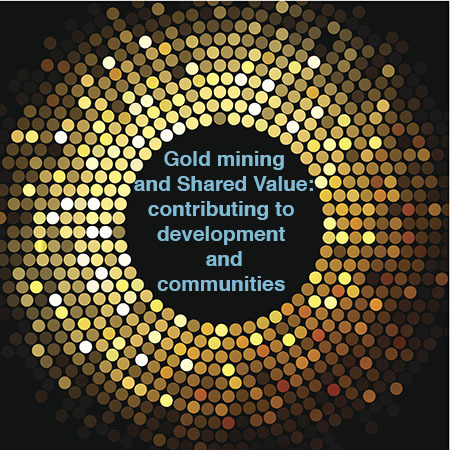 Development in West Africa depends on the willingness of countries in the region to pool their respective capacities. It is not about acting against their own interests, but rather about using subregional cooperation as a springboard to a more secure strategic, political, economic and energy independence. The indisputable dynamic opportunity that oil represents to West Africa today is one of power and development. The World Bank estimates, for instance, that Benin, Togo and Ghana could save nearly US$500 million in energy costs over a 20-year period as a result of the gas from Nigerian oilfields supplied via the WAGP. Gains in financial and economic terms could increase tenfold. In addition, it is impossible to consider that, by definition, cooperation would be in direct opposition to any attempt to consolidate power. If the quest for power is based solely on a state actor’s capacities, it is important that they be supported even by economic alliances. Nigeria must agree to play a pivotal role in oil cooperation in West Africa in order to create for itself an area of influence conducive to its ambitions for power. It would be well advised to encourage such cooperation to fight effectively against the illegal trade in crude siphoned from its pipelines. Ghana, Côte d’Ivoire and the other oil-producing states will also benefit from the development of oil cooperation because of their dependence on oil and on Nigeria’s refinery infrastructure. Energy cooperation and integration can play an important role in the destiny of West African states. The World Energy Council has identified at least four benefits that improved energy cooperation in West Africa would result in: a more secure supply, greater economic efficiency, better environmental quality and a greater deployment of renewable energy sources. Oil should play a bigger part in energy cooperation because of its high strategic value and its capacity to serve as initial capital for economic diversification. Cases of countries such as Qatar and the United Arab Emirates are instructive in this respect. 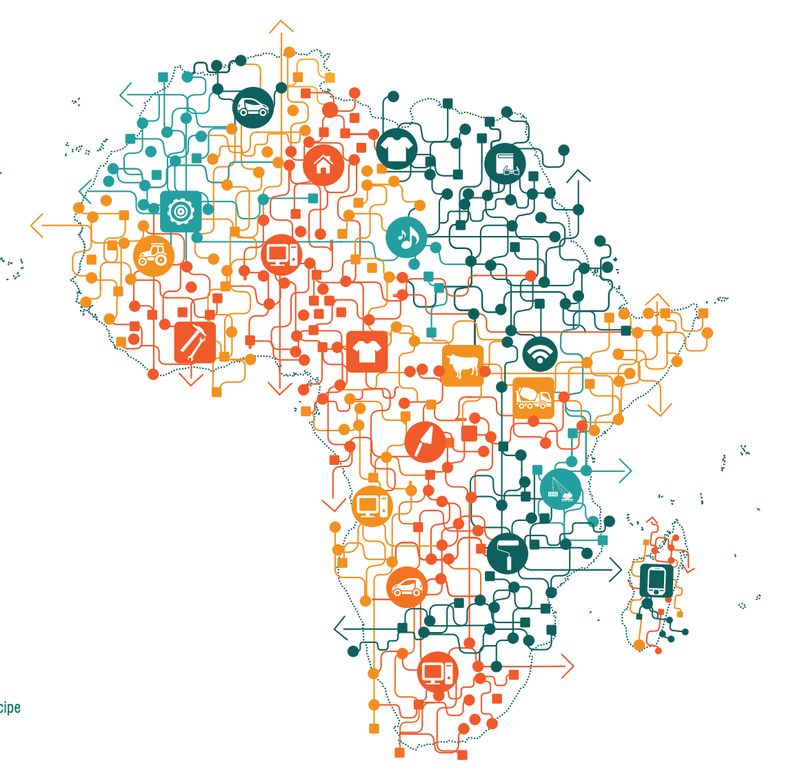 On the other hand, a greater commitment to good governance, democracy and the implementation of local content strategies would certainly be a plus for African states. Dr Alain Fogue Tedom is Director of the Pan-African Centre for Strategic Studies for the Promotion of Peace and Development (Centre Africain d’Etudes Stratégiques pour la Promotion du Développement et de la Paix – CAPED), and lecturer at the University of Yaoundé II, Soa; Fabrice Noah Noh is a PhD student in Strategic and International Relations at the University of Yaoundé II, Soa, Cameroon.